New customer must be on automatic delivery. Referrer’s account must be in good standing to receive their credit(s). Credits are non-transferable and non-refundable. Credit on the account is not redeemable for cash. May only be used towards annual fuel system cleaning. For your safety, all oil equipment requires a FREE equipment safety inspection prior arranging delivery of fuel. An equipment safety inspection is performed by one of our qualified and licensed service technicians to ensure your equipment is safe. In time-sensitive cases, a visual inspection of your oil barrel, oil line and whistle will be done by the driver at the time of your first delivery. Then a service technician will complete the inspection before your next delivery. The account holder will need to be home during this inspection. Please note if your system doesn’t pass inspection, any service work needed will be billed at prevailing rates. You will receive a delivery slip when our truck delivers fuel to you. This slip records the number of gallons put into your tank at the time of delivery. Please note: the delivery slip is your invoice. If you pay within 10 days from your delivery, you are eligible for the advertised cash price on the delivery day. If your account balance becomes past due (net 30-day terms, for credit approved accounts) then it will be placed on a delivery hold status. If your account is on a delivery hold status or is on a will-call status, there will be a special trip charge when a delivery needs to be made off route. Automatic delivery customers will receive regular deliveries based on the weather, your past usage, and annual consumption. Special trip charges do not apply if you are an automatic delivery customer in good standing and run out of fuel due to our error. We encourage you to be an automatic delivery customer, but if you prefer to be on a will-call basis, you will need to watch your gauge carefully, and provide at least one week notice when ordering a delivery. Please call us when your oil tank is at no less than a 1/4 full. If an emergency delivery is needed, a special trip charge may apply. Minimum delivery depends on tank size. An additional fee applies to less than minimum delivery orders. Upon becoming a new customer, and when proper credit channels have been checked, you will be asked to sign and return a credit application. We will never share personal information with anyone. The information you submit to us is only available to our employees who manage your account. Customers not approved for credit will require a security deposit to activate the account. If a check is returned to us for insufficient funds, your balance plus the insufficient fund charge must be paid in full before a delivery is made. If two checks are returned your credit terms will be subject to review. All payments are due within 30 days. If payment is not received within 30 days your account is put on delivery hold, which means you will not receive a delivery until the balance is paid in full. If you are having difficulties meeting the 30-day obligation please call to make arrangements for payment. To qualify for a Budget Plan, you must have a zero balance. Budget Plans allow customers to budget their usage with up to 10 equal monthly payments. All payments are due at the beginning of the following month and your account will be credited with the appropriate discount after each delivery if the budget is current. All balances must be paid before the new season starts. Budgets are reviewed mid-heating season and your payment may be increased or decreased due to weather conditions and usage. If more than one payment is missed, your Budget Plan may be canceled. Customer agrees to pay the full amount shown on each invoice in full. All balances are due within 30 days from the date of the invoice for any deliveries or services performed. Payment not received within 30 days of the invoice date will be subject to a late fee of 2% per month on the overdue balance not to exceed 24% per annum finance charges or the maximum allowed by law. 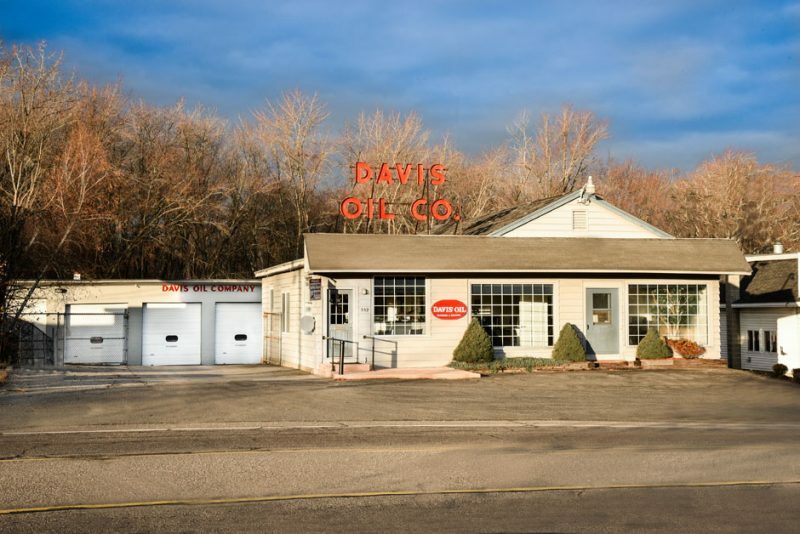 Davis Oil will notify Customer of any delinquency and will be subject to Davis Oil’s collection process. 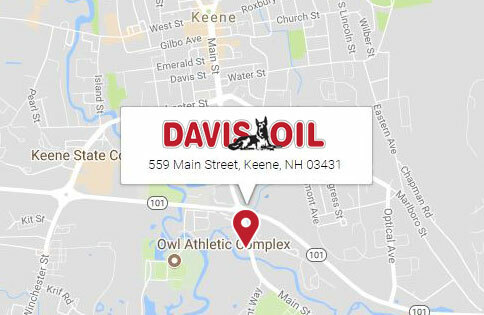 If no payment or payment arrangements are made, Davis Oil may refuse service provided as applicable.